Large FDM parts can curl up from the foundation sheet whilst it is still building, which in turn can cause machine problems. See below a guide on how you can help prevent this from happening. Orient your STL and slice it just as you normally would. 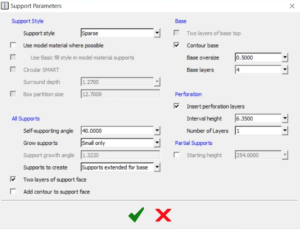 Before you start generating supports, open the Support Parameters dialogue (from the main menu, select Support > Setup, then click on the Access Advanced Support Settings icon) and increase the Base Oversize setting. This parameter can be set up to .500, and will provide a larger base area to bond to the build sheet. As a result, when the part is being built and the large base layers of the part are shrinking, there will be more area contacting the build sheet to hold it flat. Another way that you can achieve this is if an even larger base is desired, is to use the Offset command. 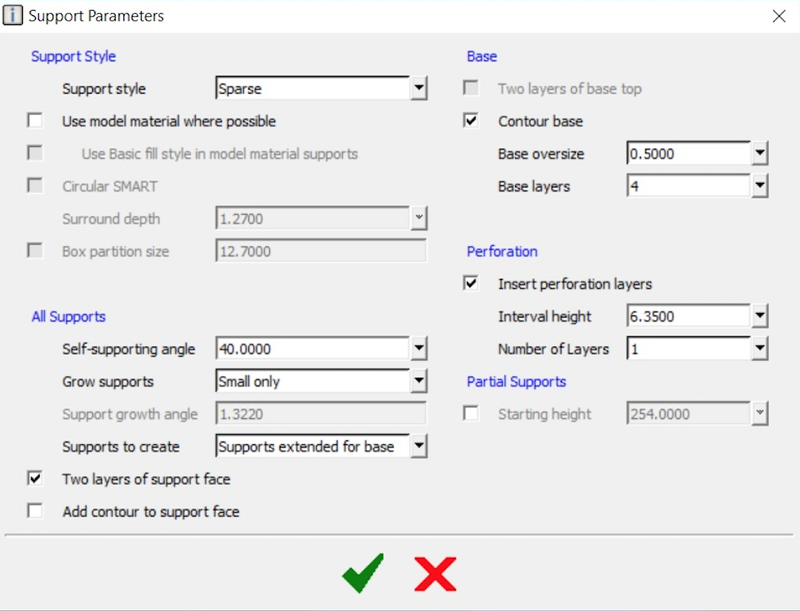 Once you have generated the standard supports and base, select Edit > Offset from the main menu. d. Important: Select No in the ‘Keep original’ field! Otherwise, the offset curves will form a new inner/outer relationship with the existing base curves, and no base will be created under the part! e. Select all the light blue (base) and dark blue (base top) curves at the bottom of the part and click OK. A new larger base has now been created. For further information on the above or if you are getting trouble with part curling on your FDM machine, please get in touch with our team!